If you're the family tech support, you probably have to record the occasional screencast to show people how to troubleshoot. Chances are, you don't need special screencasting software just for that. Digital Inspiration shows a clever way to just use YouTube. 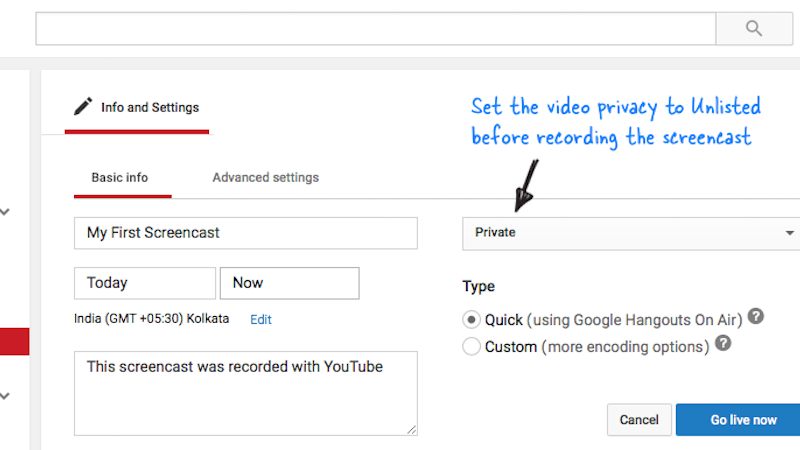 All you'll need to do is set up an event for live streaming on YouTube, but set the video to unlisted or private before you start. From there, Hangouts on Air will open up, where you can toggle over to the screen share option. Now, just record your screencast. When you're done, you can change the privacy of the video to share with anyone you want. Sure, you can't edit or do anything special, but it's handy for those moments when you just need to quickly show how something works. Head over to Digital Inspiration for the specifics of setting it up. Is this how those NBA YouTube streams are done? So it includes the audio playing in the recording?